In an assessment of 653 freshwater plant and animal species living on Madagascar and nearby islands, biologists found that 43 percent are threatened with extinction or there isn’t enough information to assess how well they’re doing. Nearly 80 percent of endemic plants examined in the study face extinction. The team lists unsustainable farming practices, deforestation, dam construction, mining and the overuse of natural resources, such as overfishing, as causes for the widespread declines. Madagascar is known as an ark for biodiversity that’s found nowhere else on the planet. Unfortunately, it’s also known for the bevy of threats that those distinctive species that live in its rainforests, woodlands and wetlands face. Now, the International Union for Conservation of Nature reports that many of the plants and animals living in the islandís freshwater habitats, as well as those of other southern Indian Ocean islands, are also being pushed closer to extinction. A team of biologists compared known data on 653 freshwater species, ranging from fish and crabs to dragonflies and aquatic plants, and they found that 43 percent were either threatened with extinction or else scientists didn’t have enough information to assess how well they were doing. That’s more than double the proportion of threatened freshwater species on the African continent, according to a 2011 IUCN biodiversity survey. 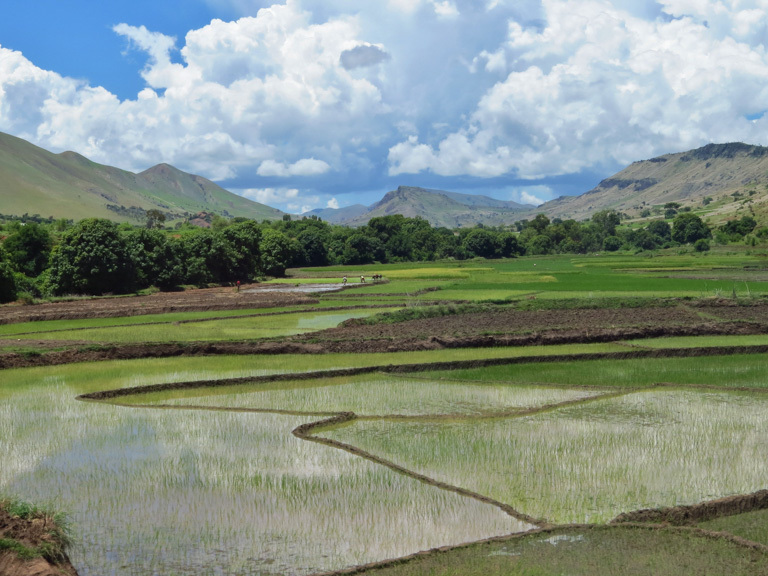 A rice paddy in Madagascar. The authors of the report pointed to unsustainable agricultural practices as a primary driver of species declines. Photo by Mike Averill, courtesy of IUCN. More than 150 dragonfly species that the scientists looked at are endemic to Madagascar, meaning they’re found nowhere else in the world. Other endemics include a genus of freshwater snails that bear live young. Two of the species, Madagasikara madagascariensis and Madagasikara johnsoni, are classified as endangered. The authors identified unsustainable farming — which they write includes the traditional slash-and-burn technique used by subsistence farmers around the world — as the most serious threat, particularly when it involves the drainage of wetlands to increase the amount of arable land. Deforestation, dam construction and mining also play a part in fouling bodies of freshwater, which in turn puts pressure on the plants and animals that live in them. The authors said the overuse of natural resources, as in the case of overfishing, was a significant catalyst in driving down the numbers of some species. That finding is particularly concerning for the Malagasy people of Madagascar, said Laura Máiz-Tomé, an IUCN program officer and one of the report’s editors. 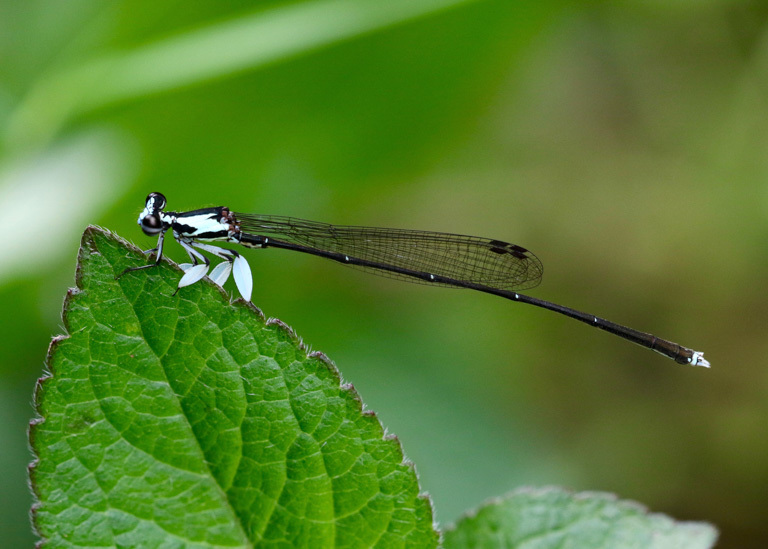 A blue-faced featherleg damselfly (Proplatycnemis pseudalatipes), which scientists have found only in Madagascar. Photo © Allan Brandon, courtesy of IUCN. The 23 percent of plant and animal species that fall into the “data deficient” category highlights an important void in our understanding of Madagascar’s biodiversity, said William Darwall, who leads IUCN’s freshwater biodiversity unit and who edited the report. “We urgently need more research to effectively conserve species in this hotspot for global biodiversity,”Darwall said in the statement. 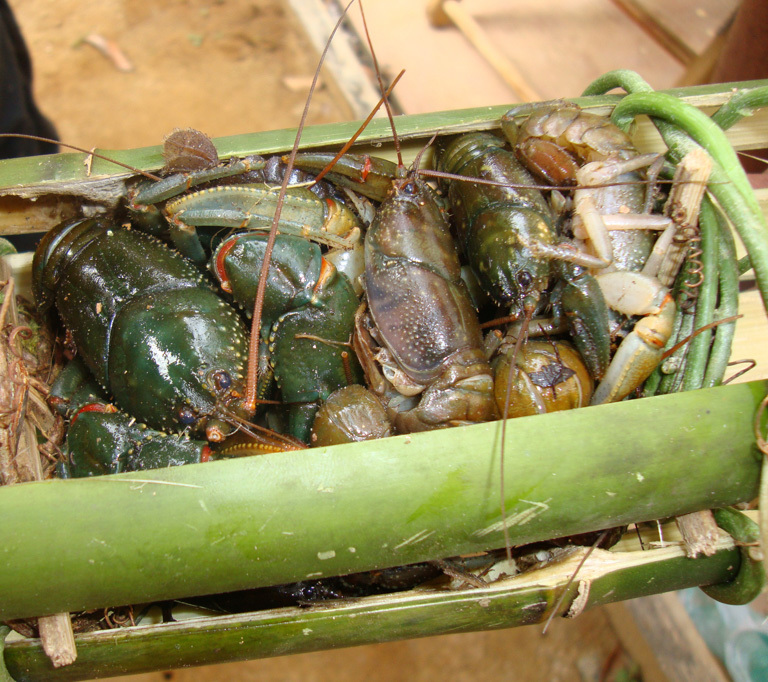 Freshwater crayfish (Astacoides granulimanus), endemic to Madagascar, for sale at a market. Photo © Christian Ranaivoson, courtesy of IUCN. The research revealed that aquatic plants found only in Madagascar are particularly threatened, said Sylvie Andriambololonera, a coordinator with one of the partners in the study, the Missouri Botanical Garden. Nearly 80 percent of endemic plants examined in the study are creeping toward extinction. But as with the animal species, the findings exposed how little we know about Madagascar’s freshwater plant life. The article originally appeared on Mongabay.